The nights are fair drawing in... and time to think about fuel bills! Home Energy Check advisor, Imtiaz Ahmed, has been working with tenants to assist them in saving money on their energy bills and providing tips in keeping their homes warm over the winter. 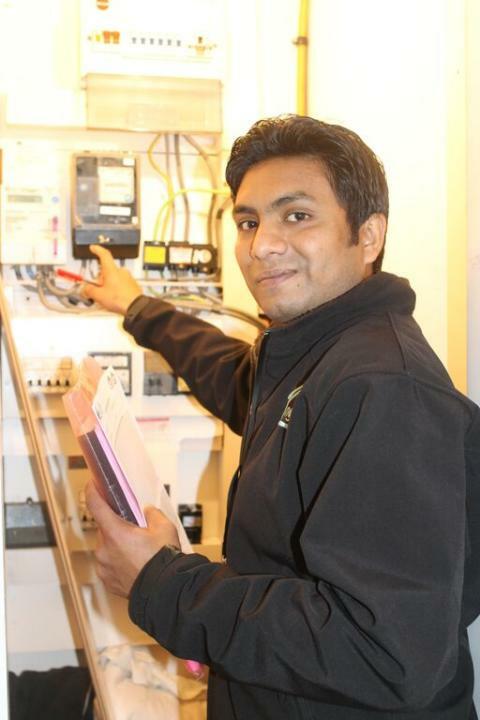 Over the past couple of months Imtiaz has been carrying out home energy checks for older tenants with great results. He has been advising them on how to best use their central heating and hot water and providing tips on how to keep their bills down. In some cases, tenants have been supplied with energy saving lightbulbs. This has also helped the environment over the last three months showing a carbon saving of 5265kg Co2. Imtiaz has also been helping sheltered housing tenants apply for home energy discounts, find a cheaper tariff for their electricity and some have had rebates due to the fact that they have had large overpayments. Recently, one delighted tenant informed ng homes that he received a cheque from Scottish Power for just under £500. Another tenant received the £140 Warm Homes Discount and £200 winter fuel discount bringing him an annual discount of £340. Prior to publication, it must be approved by ng homes media centre.